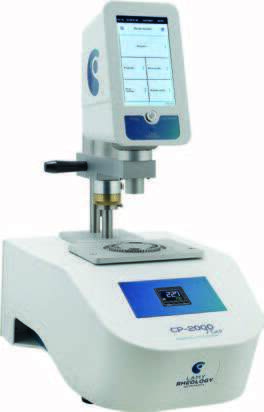 The RM 100 CP 2000 Plus Viscometer is a flexible cone-plate viscometer that offers an integrated temperature probe, temperature control, and programming and saving one-step tests directly on the instrument. It has a wide speed and torque range, and your choice of one of two options for easy spindle connection. Melt, grease, and asphalt: RM100 PLUS CP2000H + CP 4020 spindle + optional Rheotex Software.